Have a question about the owner logins or want to find out more about a payment, metric or cost? Just contact us via the chat button on the right bottom of the page. ** Light and dark red bookings in the calendar are just to indicate back to back bookings. This has no further meaning. The green parts are the available days. 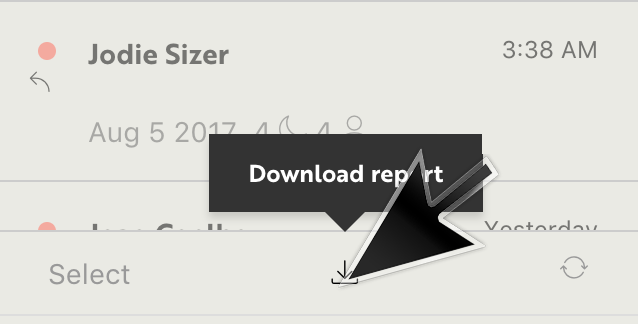 Using the "download report" button in the calendar view you can export all bookings in a csv file. You can use this csv file to import all reservations into your administration software or save them for other purposes. If you would like to filter the bookings you want to export please click on the filter icon and select which filter you would like to use. To export only upcoming bookings (from check-in today and in the future) click on ''upcoming'' and follow the same steps explained above to export them as a CSV file. Convert CSV file to normal Excel FileOpen the document in Excel, you will see all data in in comma separated file. In Excel go to ''Data'' and click ''Text to Columns''. Make sure to select ''delimited" in the options. Click "next" a few times until you see checkboxes with ''Comma'', click this box and finish the questions.